Maracuja Oil - Can This Face Oil Revitalize Your Skin? A trending ingredient in skin care products is maracuja oil, a lightweight face oil and skincare product ingredient sourced from the seeds of the passion fruit (Passiflora edulis). A rich source of many substances thought to enhance skin health, including essential fatty acids and antioxidants (such as vitamin E and carotenoids), maracuja oil is said to lock in moisture and act as an emollient (a substance that increases the skin's hydration). When applied to the skin, maracuja oil is a touted as a solution for skin problems ranging from dry skin to skin inflammation. Maracuja oil is also said to slow signs of aging (such as fine lines and wrinkles). In addition, applying maracuja oil to the scalp and/or hair is purported to promote hair growth and treat dry or damaged hair. Some proponents also suggest using maracuja oil as a massage oil to ease muscle aches and reduce stress. So far, few studies have tested the potential benefits of maracuja oil, however, some preliminary research suggests that maracuja oil may have certain beneficial properties. 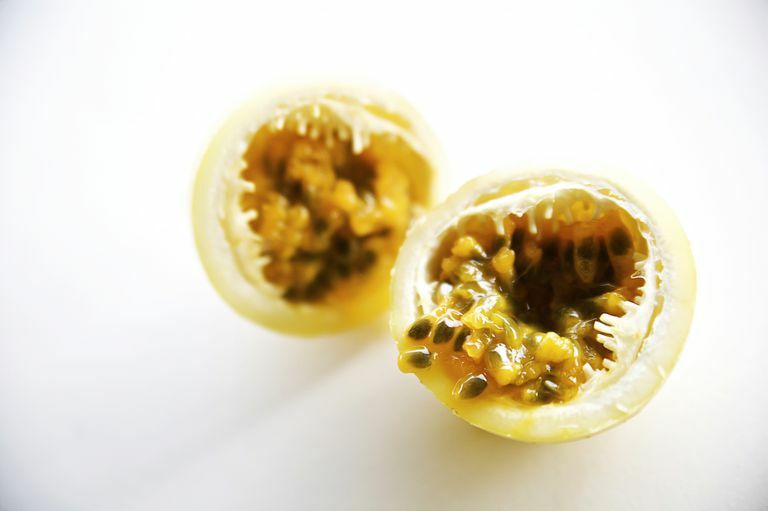 In a study published in the International Journal of Food Sciences and Nutrition, for instance, scientists determined that oil extracted from passion fruit seeds contains a high amount of linoleic acid (a type of essential polyunsaturated fatty acid that plays a key role in skin function). Also present in safflower and sunflower oils, linoleic acid has been found to reduce inflammation when applied directly to the skin. Additionally, a study published in the journal Molecules in 2011 indicates that passion fruit oil has high antioxidant activity. Although this study did not look at the skin-protecting effects of maracuja oil, there's some evidence that applying antioxidants to the skin may help fight sun damage (a key contributor to skin aging) and reverse signs of sun damage in the skin. Other oils rich in essential fatty acids (and commonly found in skincare products) include argan oil, baobab, and sea buckthorn. Although research on their potential to treat skin conditions is very limited, there's some evidence that sea buckthorn may help treat eczema. Certain dietary changes may also help boost skin health. For example, following a balanced diet that's rich in antioxidants and healthy fats (such as the omega-3 fatty acids found in flaxseed and in oily fish like salmon, sardines, tuna, and mackerel) may improve your skin. Since excess sugar intake may be associated with accelerated aging of the skin, it's also important to limit your sugar intake. Drinking plenty of water may also help keep your skin healthy. Several natural remedies are often used in hair care. While scientific research supporting their effectiveness is currently lacking, natural products such as coconut oil and amla oil are said to strengthen and condition the hair. What's more, a natural substance known as neem oil has long been used to enhance hair health in ayurvedic medicine. Maracuja oil is sold in some natural-foods stores and stores specializing in beauty products. You can also purchase maracuja oil online. It is also known as maracuya oil, passion fruit oil, Passiflora oil, or Passiflora edulis oil. Although there are a lack of clinical trials on the skin effects of maracuja oil, it's possible that using skincare products that contain the oil may keep your skin moisturized and enhance your skin's health. de Santana FC, Shinagawa FB, Araujo Eda S, Costa AM, Mancini-Filho J. Chemical Composition and Antioxidant Capacity of Brazilian Passiflora Seed Oils. J Food Sci. 2015 Dec;80(12):C2647-54. Ferreira BS, de Almeida CG, Faza LP, de Almeida A, Diniz CG, da Silva VL, Grazul RM, Le Hyaric M. Comparative properties of Amazonian oils obtained by different extraction methods. Molecules. 2011 Jul 13;16(7):5875-85. Liu S, Yang F, Li J, Zhang C, Ji H, Hong P. Physical and chemical analysis of Passiflora seeds and seed oil from China. Int J Food Sci Nutr. 2008 Nov-Dec;59(7-8):706-15.